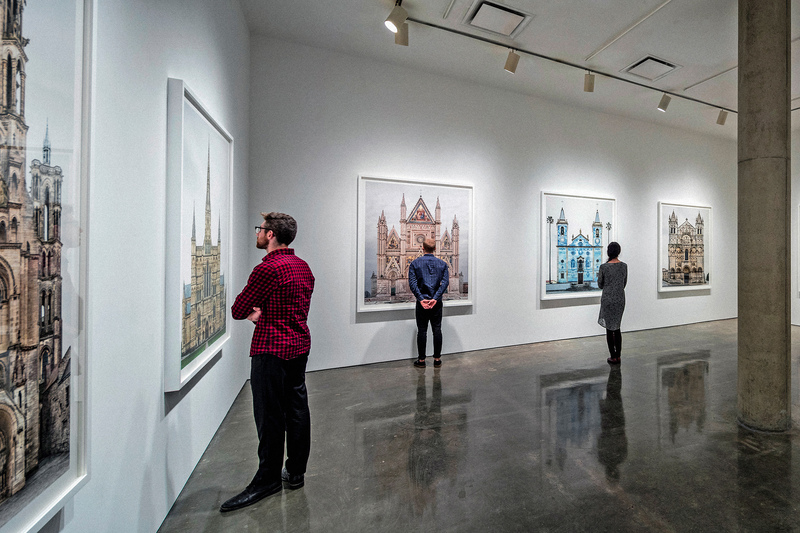 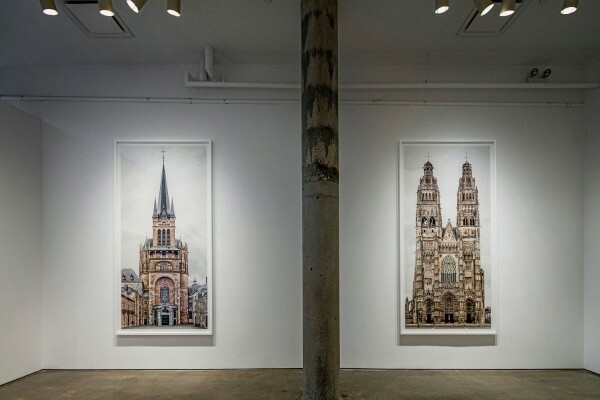 Yossi Milo Gallery is pleased to present FACADES , an exhibition of photographic works by German artist Markus Brunetti. 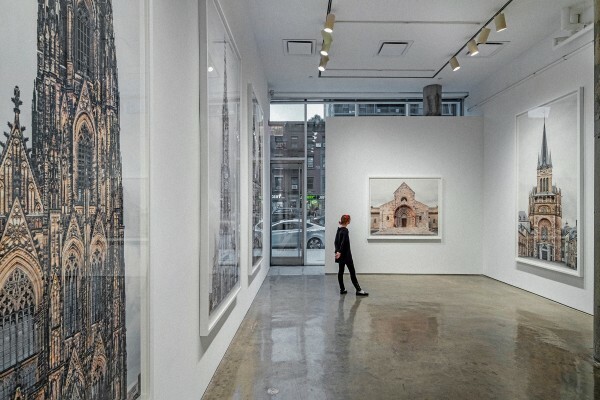 The exhibition will open on Thursday, September 10 and will be on view through Saturday, October 17, with an opening reception for the artist on Thursday, September 10 from 5:00 – 8:00 pm. 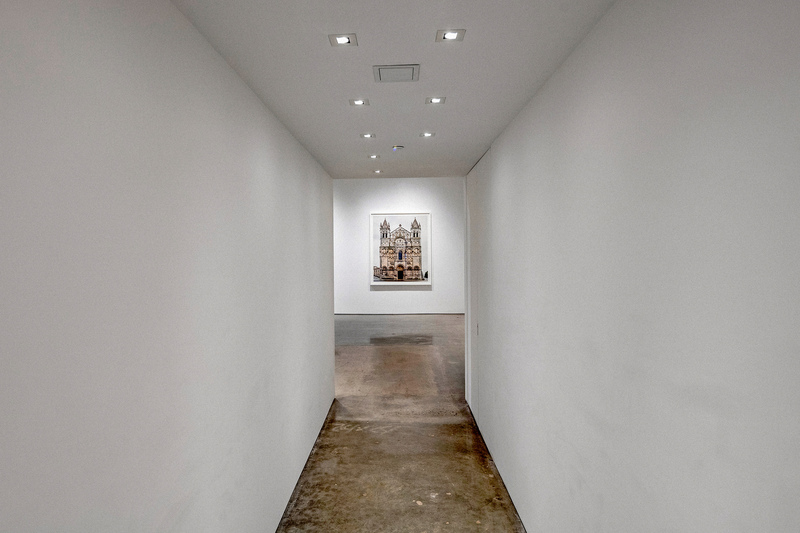 This is Brunetti’s first exhibition in the United States. Markus Brunetti’s FACADES series is the result of his travels through Europe from 2005 to the present day, capturing the façades of historic cathedrals, churches and cloisters in minute detail. 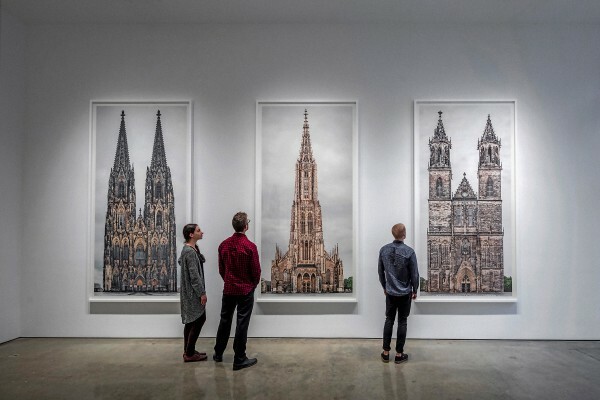 In the tradition of Bernd and Hilla Becher’s serial documentation of German industrialization, the front surface of each structure is recorded in a precise and regulated style allowing for typologies and comparisons. The subjects are conceived as idealized designs, or as what might be called photographic drawings on paper, similar to the architects’ or builders’ original drawings and the engravings of Old Masters. In the East Gallery, five large-scale archival pigment prints, each measuring 10 feet tall, depict towering structures such as Notre-Dame Cathedral in Chartres and Ulm Minster in Germany. 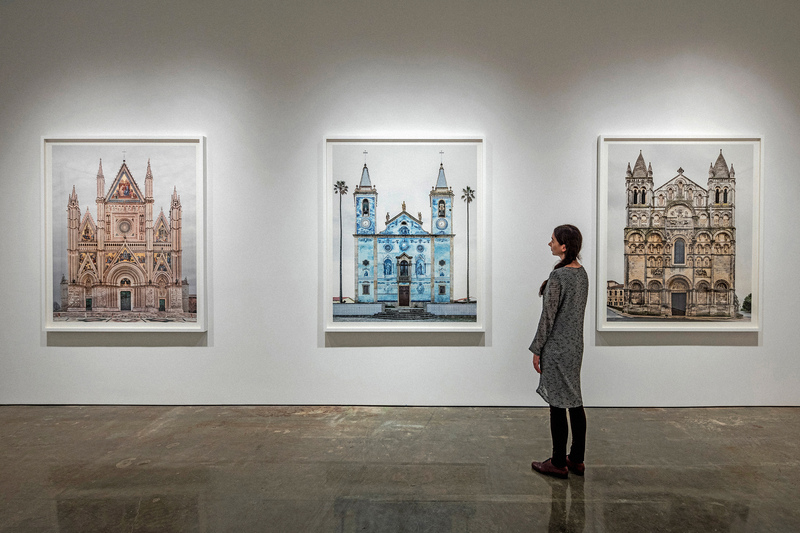 In the West Gallery, ten 70″ × 60″ works represent a history of architectural styles ranging from Moorish to the early Romanesque, through Gothic, Renaissance and Baroque periods. 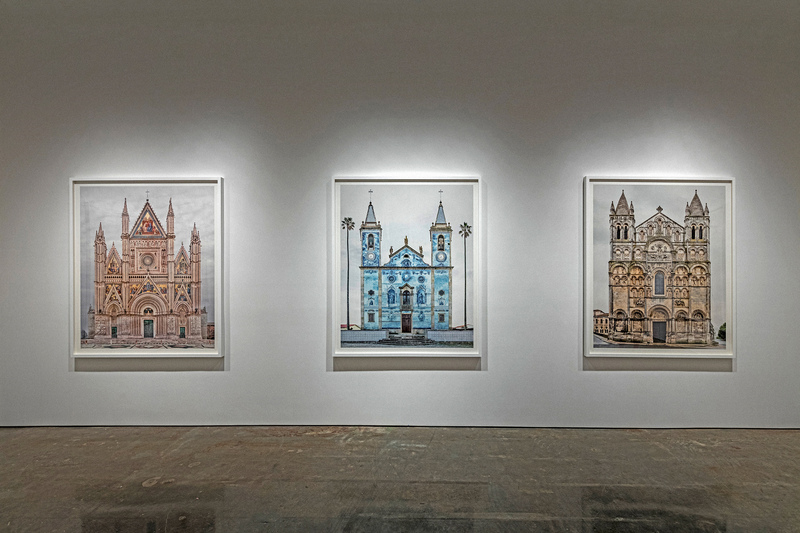 To create a single work, Brunetti exhaustively explores each façade from bottom to top, taking a large number of frames over the course of a few weeks or, if necessary, a few years. 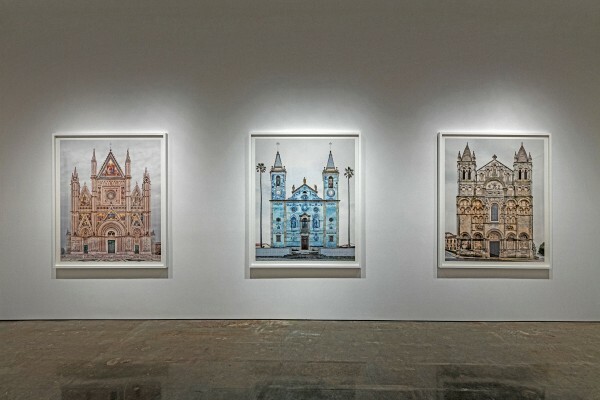 Miniscule ornamentations that would otherwise be overlooked or inaccessible, such as golden mosaics in the gables of Orvieto’s Duomo di Santa Maria Assunta or sculptural details on the soaring spires of Cologne Cathedral, become vividly clear. 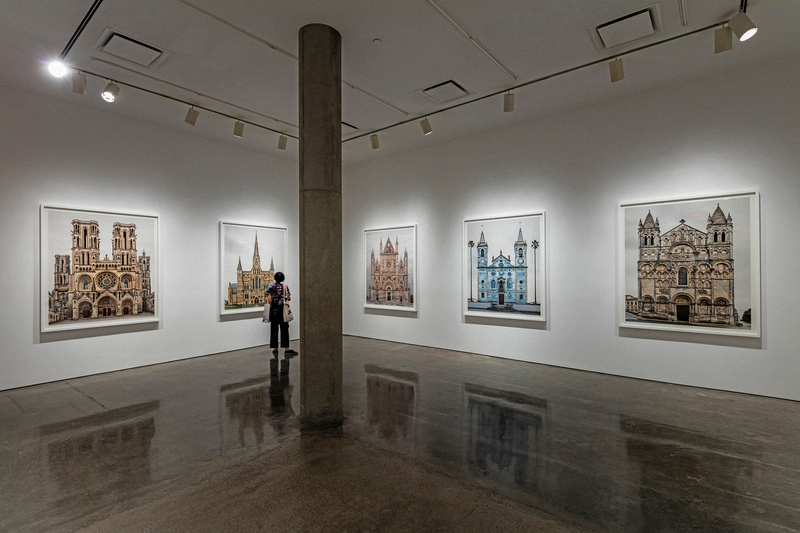 He then assembles the individual views into his own hyper-realistic interpretation of the entire façade, stripped of all modern-day elements and suggesting three-dimensional qualities. 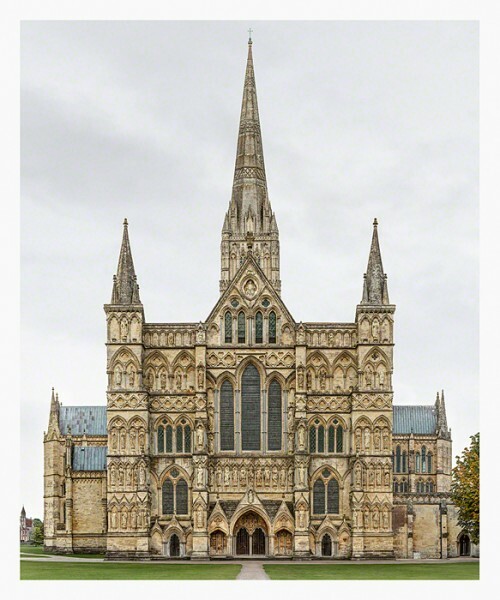 As a result, FACADES becomes a visual encyclopedia; an in-depth study of the relationships between form, religious function and cultural history. 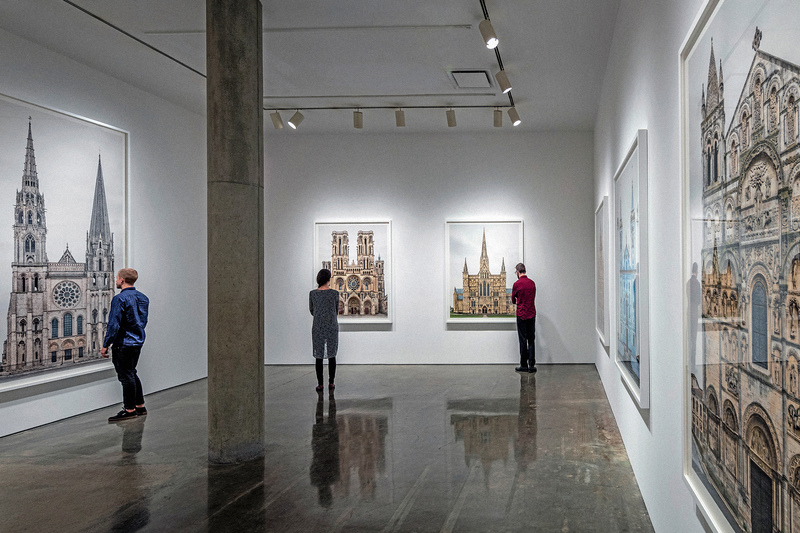 Works by Markus Brunetti are currently on view in the PROPORTIO exhibition at Palazzo Fortuny, Venice through November 22, 2015, and will be featured at Les Rencontres d’Arles Photographie Festival in Arles, France from July 12 – September 20, 2015. 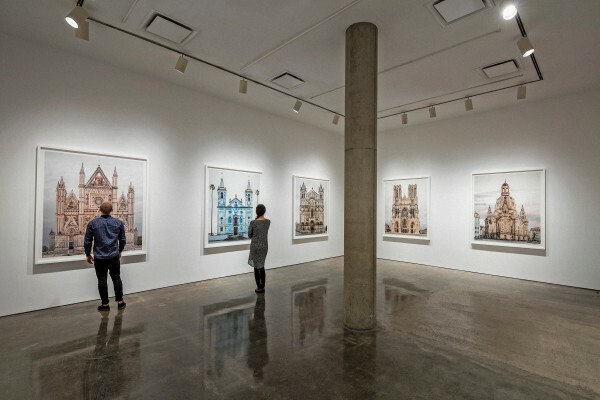 In 2014, a solo exhibition of FACADES was presented at Museum for Applied Arts, Cologne, Germany, and his first catalogue, Markus Brunetti – FACADES , was released by Hartmann Projects. 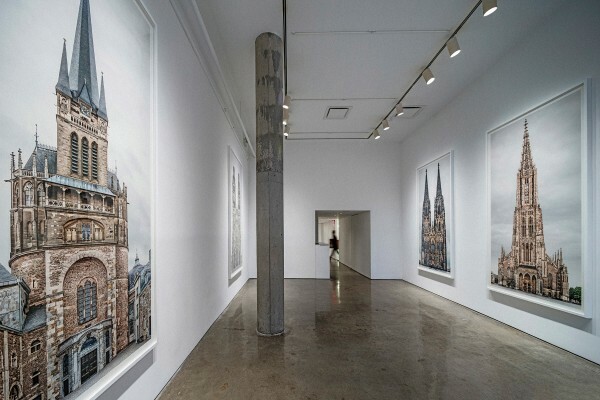 The artist was born in Germany in 1965.